From the winner of two Pulitzer Prizes and a National Book Award, a brilliant biography of Gen. George Armstrong Custer that radically changes our view of the man and his turbulent times. T. J. STILES is the author of The First Tycoon: The Epic Life of Cornelius Vanderbilt, winner of the 2009 National Book Award in Nonfiction and the 2010 Pulitzer Prize in Biography, and Jesse James: Last Rebel of the Civil War. 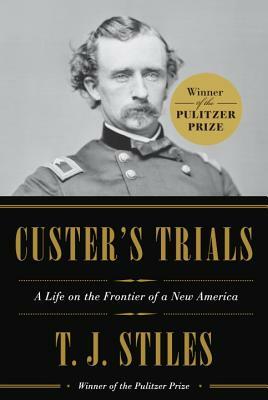 Custer's Trials: A Life on the Frontier of a New America was awarded the 2016 Pulitzer Prize in History. A member of the Society of American Historians and a former Guggenheim fellow, Stiles lives in Berkeley, California, with his wife and two children.